Mr. Franklin represents public employers in the Labor, Employment and Education groups. His practice focuses on contract negotiations, grievance and interest arbitration, and representing clients before various state and federal labor agencies. 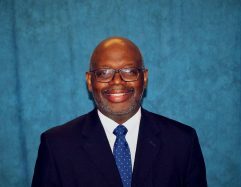 With over two decades of experience as an attorney and Labor Relations Officer with the City of Newark, Mr. Franklin is in a unique position to provide valuable counsel to management officials regarding contractual analysis, employee disputes and policy development. Prior to joining the firm, Mr. Franklin worked as a Mediator for the Public Employment Relations Commission for seven years. In that role, he mediated hundreds of public sector contractual impasses involving employers and unions representing police, fire, education, municipal, county, housing and utility authority employees throughout the State of New Jersey. This experience provided exposure to an array of issues, and afforded him a distinct perspective of labor negotiations and dispute resolution which will benefit our clientele.